Our One Bedroom units have a King sized bed in the bedroom and a king single bed with a pull out trundle bed in the lounge. This unit can sleep 1-4 guests. 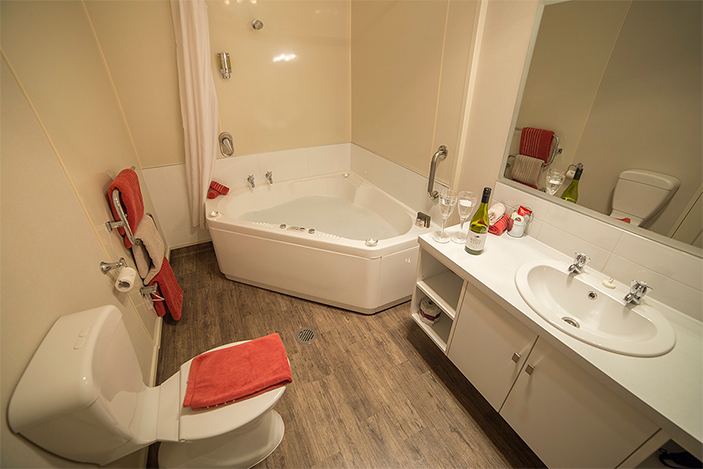 The One bedroom units have a well-equipped kitchenette and the ensuite bathrooms include a double spa bath with a shower over. heated towel rails, hair dryer and heated lamps. All of our units are outfitted with superior furnishings and are soundproofed for your comfort. There is wireless internet and SKY TV to all rooms and rooms are serviced daily. Our units are easily accessed by ground floor walkways and there is free off-street parking outside the units. These units aren't directly lake facing but have an outside patio area in front of your room where you can enjoy partial lake views. These units are closer to the lake end of the complex. "What a great place to stay. Wish our trip had allowed for a longer stay. Everything you need within walking distance. The owner was so helpful with lots of good information on what to see and do." 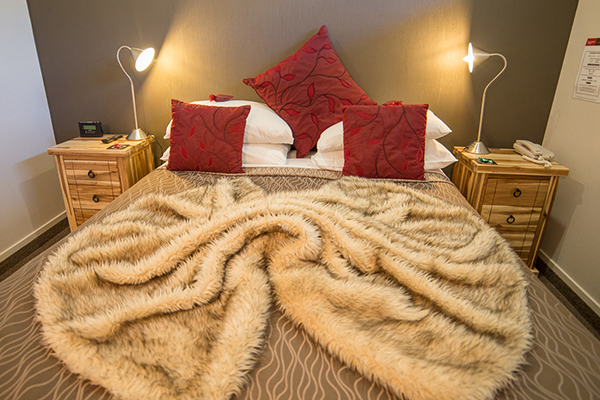 "Very comfortable units with everything you need, the extra touches make it very special. Close to the shops, bars and restaurants with beautiful views of the lake. Local knowledge from the owner was the icing on the cake. Magnificent." "Nice outdoor area in the front of the unit with a lake view, ideal for evening dining. Short enjoyable walk along the lake to the town centre." For more information about rooms please contact us. © 2018 Codeyak All rights reserved.